We specialize in global implementations, often with complex business processes and have extensive expertise in the industries we serve — including engineer-to-order, make-to-order and configure-to-order manufacturing, distribution, aerospace, building materials, life sciences, high tech, food, and retail. Our long history serving these industries enables us to align with clients to help them re-engineer and redefine themselves to be more responsive to market dynamics, deliver outstanding customer experiences, break down organizational silos, and streamline and innovate processes. 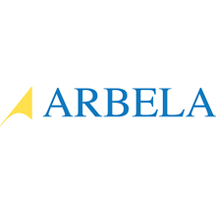 Whether in the enterprise or the cloud, on a mobile device or machine-to-machine, Arbela is a trusted advisor leading companies rely on to drive transformation and achieve strategic, financial and operational value — today and tomorrow.